You know what I love about you guys? You see this story, and you email me to say, "I know you are totally going to this dinner, and I can't wait to read about it on your blog!" And then I have to reply and say, "Sadly, I did not get to go to that dinner because I had prior commitments that prevented me from going." Now that I've seen the menu, I wish I'd said, "F off" to those prior commitments or last-minute-ditched said commitments, and flown to New York to eat some truly amazing food. Alas, I remained a true patriot, decided to do the hard work of freedom, stayed earnestly dedicated to my country and my people, and forged ahead in this new era, and ... oh, who am I kidding ... I should've gone. I am a dumbass. Instead, I made salad! WOOOOO-HOOOOOO!!!!!!! Of course you do. I mean, seriously, we didn't miss anything by not going to that dinner, right? We could just read my old blog, and then read all the posts on this blog, keep flipping back and forth between the two, and it's almost like we were at THAT OTHER DINNER. Only, not even close. Criminy, that's a lot of roughage. Now, let me say that when I wrote my shopping list for this dish, I didn't really know what nearly 9 pounds of salad greens would look like. But now I know. Yike-a-roonies. Now comes the fun part. And by fun, I mean TOTALLY NOT FUN. Because I don't own a juicer and refuse to buy one (my kitchen storage space is precious, and I'd never use a juicer for any other reason because I kind of hate juice in general), I had to pulverize all that lettuce in my food processor, squeeze it through chee..... WAIT. Really, the reason this was the TOTALLY NOT FUN part is because I bought real salad greens -- not the already-washed and bagged stuff -- so that meant I had to take apart all these bunches, leaf by leaf, and rinse and spin and rinse and spin until they were clean, and then tear the leaves into choppable bits, and process them in what amounted to MORE THAN TWENTY SEPARATE BATCHES in my food processor. I stopped counting at twenty batches because I just couldn't take it anymore. BUT I STILL WILL NOT BUY A JUICER because I'm stubborn that way. I lined two big containers (a glass mixing bowl and a Le Creuset pot) with cheesecloth, dumped each batch of lettuce purée in there, and when I was done, I squeezed the juice from those collective bunches of purée, then combined the juice into one bowl. Then, I strained that combined juice into yet another bowl and added a little salt to taste. I thought the hard part was over, but no. There was some serious engineering to be done. The next step involved freezing the lettuce juice after it's poured onto a sheet pan. I don't know what your kitchen is like, but mine is so ferdunkled. It's an old, old house. Appliances too big for the space allotted, and the freezer door doesn't really open the whole way like it should because the countertops were cut by someone whose business card read Random Chopping Uneven Counterop Guy. So, originally, I thought I'd just pour the liquid lettuce onto a sheet pan and then slide that sheet pan into the freezer. It's good I have half a brain because I thought, "Huh. Maybe I should make sure this sheet pan fits into the freezer before I go pouring this BRIGHT GREEN LIQUID onto it and then have it not fit, and drop it or tilt it to fit in the freezer, forcing the lettuce juice to run down the inside of the freezer and then all over my kitchen floor, and I will have to immediately sell the house because who the hell wants to clean up all that?" Sure enough, the pan wouldn't slide straight in, so I rigged a bunch of frozen items in one of the bins to create a somewhat level surface, slid the pan in, adjusted the aforementioned frozen items to ensure a level surface (PEOPLE, I even used an actual carpenter's level to make sure it was even), and then poured the juice onto the pan once the tray as secured. Next up? The red wine vinaigrette. Thankfully, this did not involve seven million hours of lettuce washing and pulverizing, and instead simply required that I mix some red wine vinegar and salt, and pour it in a shallow pan, so that I could freeze it, as well. I let these freeze overnight, and finished and served it the next day. Finishing the dish seemed like it was going to be a breeze, and appeal to the orderly, particular, straight-lined, everything has its place so let me just adjust that three more times freak that I am. To prep for plating, you merely take a fork, turn the points of the tines down onto the surface of the now-frozen lettuce juice and the now-frozen red wine vinaigrette, and drag it across the surface, scraping long lines to raise up the icy goodness like you would with a granita. It was easy, but wow does it make a mess. Clearly, the photo on pages 216-217 of the Alinea cookbook shows the righteous fury with which the icy spray of green doom can splatter, but I didn't know that in addition to splattering across my countertops, floor, windows, cupboards, and walls, it was also SPLATTERING ALL OVER MY FACE until I went to the local co-op to pick up some bread an hour later and the cashier stared at me and said, "Whoa. That's a really brave tattoo." To which I replied, "Oh no, that's a zit." To which he replied, "No, the teardrops of green. Is that, like, because you're for the earth?" At which point I muttered something under my breath about "what do you even mean am I for the earth, what a stupid thing to say, am I for the earth, what does that EVEN MEAN" and pulled out my compact mirror and saw that it wasn't just a few drops of green under my eyes, but that I quite resembled The Hulk (Edward Norton! CALL ME! ), and scooted on out of there and invested heavily in the Cetaphil Corporation as well as whatever corporation makes mirrors, because who leaves the house without checking to see how they look? Oh yeah. Me. And now, time to plate. Well, we learned the hard way that you kind of need to stir it a bit to mix all the flavors together, otherwise, there's a very good chance you might feel like you took a bite of a vinegarcicle. However, if you stir it and smush it around (which melts it a little, but that's okay), it's a really nice balance. Overall, it's really light and fresh, and tastes really green and healthy. I know for some people that might be a turnoff (healthy = booooo), but I enjoyed it. Come summertime, I'd make this again as a fun course at a dinner party. It's really good. Resources: Salad greens from Whole Foods, Domaine des Vignes red wine vinegar, Monini olive oil. Music to Cook By: Azure Ray; Assorted. I have a few of their albums on my iPod, so I just put them on Shuffle and listened. There's no higher praise than to say their tunes kept me from wanting to throw my food processor out the window on batch 17 of the lettuce. So, yay them. Wow, this is loopy! I does look so refreshing though - funny. That there are culinary minds who work this way, and would ever think of doing this, is FASCINATING to me. I would love to be a fly on the wall of his brain. Um, or something. I don't know. But I love you and am so happy you didn't stop with just the one gourmet cookbook. That looks like a lot of work, I saw this recipe and I wondered how it would taste but I also do not own a juicer and (now seeing your post) wisely decided to not try this even though it looks relatively simple. I just don't have the endurance in my young age. I am amazed you have 3 recipes under your belt so far, I am definitely slacking off. Thank God I am great at making excuses for myself though! Can't wait for the next post! Which I am sure will come about long before my first. The yield on the lettuce ice looks like you could make about a hundred servings out of it! I like green salad as much as the next guy, but at least ninety portions would be in my sink with hot water pouring on it. So... a sh!tload of work (and *I* have a juicer) for a pretty blah result. Well, they can't all be home runs. You know, I had a reservation for the Achatz/Keller thing, but begged off to watch an episode of Dexter and eat some Trader Joe's peanut butter cups. This "salad" looks interesting. Molecular gastronomy is such a trip. A couple months ago I ate at Cafe Atlantico and had islands of foamed corn floating in some kind of broth. I didn't think I would like it but it was fantastic. So on your "tattoo": There was a girl in my Hon. English seminars in college who had what I thought for at least a semester and a half was a weird green birthmark/facial deformity. Nope. it was a green tear tattoo. Which she'd gotten IN PRISON. Where she spent a considerable amount of time during her early life as a teenage runaway/girl gang member in LA. So next time something that happens, you can just bust out with "yes, it's a prison tat. You got a problem with that, ese?" I'm seriously intrigued by this dish as I have what may be a slightly unhealthy obsession with savory frozen dishes. Kudos to Carol for the wash and juice session from hell! Also, the phrase, "the righteous fury with which the icy spray of green doom can splatter" is making me smile. I dunno why. Patience of a saint, that's all I have to say. I don't think you're a dumbass. Some things are worth giving up something - even if it's amazing - for. Although I do have to admit, I did imagine you were there! Isn't it fabulous you would even be in a position to go to that dinner? i can see this being interesting to make with other salad flavor combinations... what about doing this but similiar to how a caprese salad would be ? juice some tomatoes and freeze that, make some basil oil and freeze that, and then hmm... how would the mozzarella be incorporated in there? perhaps maybe a foam ? and then trying all of that together could make for interesting take don'tcha think? Carol, I think you just coined my new favorite word: Vinegarcicle. Damn, was that funny. Thanks for being my voice of reason for not buying a juicer. I see all of these great Amuse recipes that call for really off the wall juices in shot glasses, and for as much as I want to make them, I can't justify owing a juicer. I don't want to make space for that. Maybe I'll try your method here. Sure it's a lot more work, but home chefs are crazy like that. I'm kind of surprised by the simplicity of it. Just lettuces and red wine vinegar. I expected some herbs to be mixed in at some point. Love your suggestion for serving this on a hot summer night. Hmm...that one is, well, interesting. I have a major issue with salad greens served too cold, so I don't know if I would be on board with a salad granita. But the color is beautiful. And the concept is definitely fun. And major props to you for all of the rinsing, spinning, and wringing. I think I'll put this in the "...but not for me" category. So far, my granitas involved only watermelon, this sounds interesting indeed, and the best part is I DO HAVE A JUICER! Wanna borrow it? There's a great ice cream maker who sells at farmers' markets here - my favorite is the beet. Nothin' in it but super-fresh beets - it's sweet and earthy and totally...salady. And it ruffles up all slushy like your green stuff. It's amazing with a dab of sour cream and some balsamic reduction and olive oil. Maybe you SHOULD get a juicer...I mean, if anybody can justify some kitchen equipment, it's probably you at this point! Washing & trimming several pounds of greens? Yeah, sounds like culinary school! Oy vey. I don't look at spinach as fondly as I used to. Ooooooo, I was visiting you today to hear about the fantastico story of the amazing dinner. But, um, salad is ok, too. Knowing what I was missing, I'd have stopped at the washed greens, added a light vinigrette, and opened my best bottle of wine. And hey, your music was surely better! Perhaps you should cover yourself in green lettuce juice more often and then you could scare small children and their annoying fathers away from you at the Farmer's Market. Just a thought. Another thought: upon first very quick glance, the vinegarcicle looks suspiciously like flaked salmon. But who cares? I don't, because either way, it looks delicious. And yes, your kitchen is ferdunkled. Ferdunkled, yet homey. I think you should break down and buy a juicer. I agree that perfectly normal folks without ponytails and tie-died shirts don't need vegetable juicers. But people who plan on cooking their way through the Alinea cookbook Need A Juicer. Just leaf through the book and count the number of times you find the word "juice." That should do it. I didn't read all the comments, so forgive me if someone mentioned it. It is much easier to scrape the purees as they freeze to make the "granitee" rather than wait for them to freeze completely. Looks like fun though. I am with you on the juicer ban. I have a countertop steamer that is doomed to join the great tag sale in the sky -- I really need to be more discriminating about that stuff. Not so much into the granita texture, but I am intrigued by the idea of savory ice creams, once we get a new freezer and if I can get over the salted caramel Lebovitz PTSD (!) I might give those a try! That was hilarious! How I wish you had a picture of your Hulk face! Here because of your great writing on TFLAH. Love to cook, care about food and food politics. Might cook something from TFL but maybe not Aliena...We will see..Nonetheless, I will read everything you post. I had a really bad day today (tears and all)and was looking for some relief. Decided to check in with you and, as usual, your perspective and writing made me laugh out loud. I needed that. Thank you. I'm with you on the Juicer stance and will reinforce that by saying that anything hocked at 2:30 AM by Ron Popiel or(Aaackk! )Jack LaLane, can't be a good thing. Stick to your guns and buy a bigger strainer and cheese cloth by the bolt. Thanks for sharing your fantastic wit and your ability to articulate it! I had an idea for the frozen 'caprese' style salad that a few were suggesting; not only the frozen fresh tomatoes, juiced, along with some fresh basil, pureed of course, but pureeing and freezing some oven-roasted tomatoes as well, with some black pepper. Scrape as in the initial recipe to make the granitas, but also make some mozzerella 'ice-cream'. Melt mozz into heavy cream (or half-and-half), add a bit of olive oil, cool down and freeze in ice-cream machine. Serve by making a bottom layer of the fresh tomato granita, followed by a bit of the basil granita, dab on some of the roasted tomato granita, then top with a small scoop of the mozz ice cream, add a bit more olive oil to finish. OK, I haven't actually tried this, but I WILL. I love 'dreaming up' riffs on recipes. Thanks for the 'start'. P.S. : I DO have a juicer. I use it almost daily. I know I might get shouted down, but so far I'm not loving these recipes. The bacon butterscotch is semi-legendary now, but who the hell would rather eat a lettuce-sickle rather than a salad? I like the creativity, but I can't imagine wanting to go through the hassle of ever doing this. I does appeal to the kid in me "play with my food" instinct. You just made my day! That scene at the co-op? Nearly peed my pants. Thanks for the best laugh I've had all week! I'd even loan you my juicer (though yes, I do use it almost every day). What totally blows my mind is the fact that you waited until the sheet pan was level and stable before pouring in the green goo. I am in awe. Carol- you are awe inspiring. So amazed that you are taking this on. It will be worth it!!! For sure. :-) I cannot wait to read your posts every week from now until eternity. I love your sarcasm and determination. And its funny cause I went there exactly a year ago and just posted about it now!! Check it out if you have a chance. Keep up the insanely awesome job! Sidenote: do you have the Bouchon book? The gnocchi with summer veg recipe is really good, and super easy to make. I'd just like you to know that you are my hero. I found your French Laundry blog this evening, read through a bunch of that and made my way over here. You are intense! 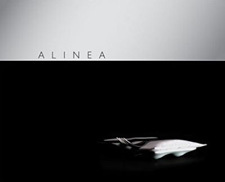 I'm terrified of the Alinea cookbook. I think I'm getting the FL cookbook for Christmas and I'm terrified of that one too! So, inspired by your blogs, I'll soon be attempting- assuming I receive a gift come the holidays that I'm assuming I will- to cook my way through el bulli. And veganize it. Just some advance warning for when I begin to curse the day I stumbled upon French Laundry At Home. Now, as for this salad process: what happened to the pulp? Did you bake with it, add it to a quiche or pie, make a pate or dip, stuff something with it, or just discard it?